The gin recently went through a re-branding. I was waiting for a friend in one of Canberra’s longtime cocktail bars, Knightsbridge Penthouse about 7 years ago, and fancied a Martini. Looking behind the bar I spotted a bottle I didn’t recognise and the barman was keen to show me the new stock: an Australian gin! Who knew? 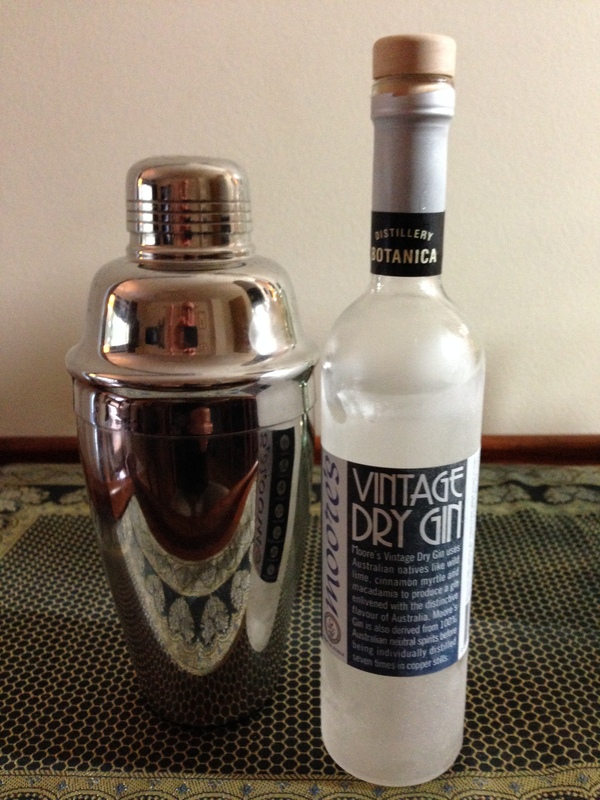 So I had to have it and was impressed from the get-go with its zest and crispness despite the list of exotic botanicals…. I had expected the worse and got a civilised cocktail. That cocktail got be started on my gin journey with the result of the blog et alia you experience today. Long before the current craft gin craze, no one saw local spirits in bars, besides Bundaberg Rum. Moore’s was way ahead of their time. 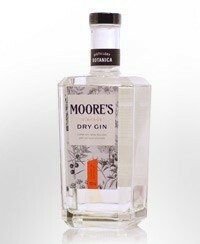 Distiller Philip Moore had crafted one of the first gins to use local botanicals with the aim of capturing an distinctive Australian flavour. So lets give credit where credit is due. Quietly for years, distillers around the country had been expressing themselves through spirits often single-handedly without the crowd funding, social media expertise or any savvy marketing behind them. But they pioneered the scene, and made it possible for the next wave of distillers to come along. So its fantastic to my mind (and one of the drivers behind this blog) to see the originals getting a second wind in the market thanks to greater awareness and confidence in local craft spirits. This gin recently when through a re-branding and has extra marketing + distribution clout behind it, so expect to see more of it about in leading bars. All boats are rising on the tide it seems. Philip uses wild lime, Cinnamon Myrtle, Coriander seeds, Illawarra Plum and Macadamia nut among more traditional botanicals, like Juniper from from German. Each is distilled separately in the Carter Head. ”I distil each botanical separately, so there can be some differences in flavour from year to year. So I call it ‘vintage’ to cover myself with slight differences between batches” he notes. It is worth noting he has extensive botanical experience with over 20 years in the garden nursery business before opening the distillery in about 2006. A cute sample bottle featuring the old branding. Neat- slightly chilled: A first glance its a classic English Dry style with a slightly heady + zesty nose, then the other botanicals open up, but not too dominant. I find it forward on the palette, spicy and lingering with a dry finish. It reminds of Beefeater me a little in terms of weight and spice (which is a good thing) and it would make a refreshingly solid G+T and would shine with a finger lime garnish, or perhaps neat over ice with a slice of capsicum (Bell Pepper for my US readers). Dry Martini– this expression lends itself to using garnishes and vermouth that teases out some of the native flavour notes. I’d suggest using the Dolin dry vermouth for a more austere approach, or perhaps with a touch of the Maidenii dry vermouth to let those natives shine. I found it full flavoured and has a bit of a kick in intensity, and it would cope as a dirty Martini version happily. One of the original Australian gins gets a second wind and offers a refined native experience that steers away from gimmicky flavours and offers a quality spirit. Look out for it next time to experience one of the essential parts of the spectrum of Australian gins now available.